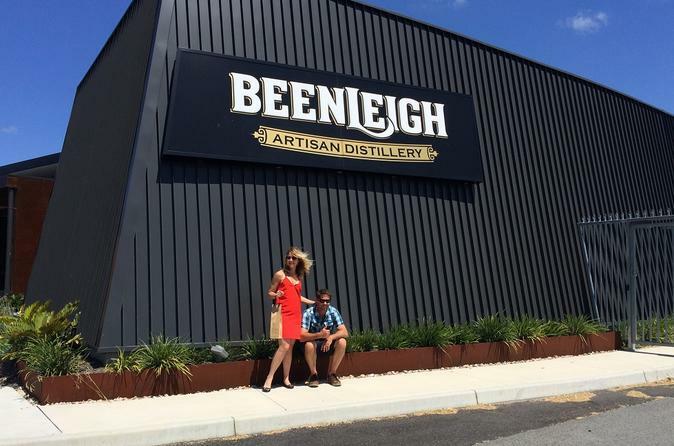 Discover some of the best craft beers on Tamborine Mountain during a 6-hour tour from Brisbane or the Gold Coast. Stop into craft breweries such as Beard & Brau and Fortitude Brewing Co, and relax during a pizza lunch with your choice of beer. You'll also have free time to check out the Gallery Walk. During the tour, you'll learn about the process of making beer from your expert guide, a fellow beer aficionado, and hear entertaining and informative commentary about the region’s craft beer scene. After pickup at a central meeting point in Brisbane or the Gold Coast, settle into the comfortable coach for the scenic 30-minute drive up Tamborine Mountain. Upon arrival, head to Fortitude Brewing to see a working brewery and learn about the process of making great craft beer. Enjoy a tasting paddle paired with locally made cheeses from Witches Chase Cheese. Next, take time to explore the Gallery Walk independently. Shop for souvenirs, sample local wines (own expense) or taste handmade fudge. At the scheduled time, swing back to Fortitude Brewing for a lunch of pizza accompanied by a schooner of beer. Afterward, your minivan follows the curvy road down the hill. Pull into the Bearded Dragon Hotel to try brews by Beard & Brau. You can sample their staple beers plus seasonal ones that may be available. Your tour ends with drop-off at your starting point or at a recommended pub in Brisbane. Please note: Your tour operator makes an effort to catch the brewers in action, but it cannot be guaranteed. Locations are subject to change.